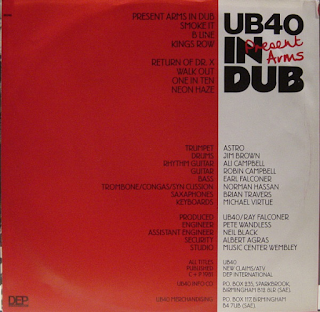 This was an adventurous thing of UB40 to do, after just two albums, they released a dub version of their second album. 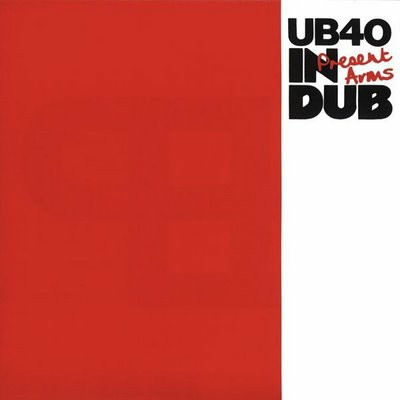 It was a bit different to much Jamaica dub, however, in that they didn't simply remove the vocals, several of the instruments and turn up the bass. They actually produced listenable instrumental versions of all the tracks from "Present Arms", almost re-writing the instrumental tracks, adding all sorts of additional noises and percussion in particular. There are captivating new saxophone parts here and there, keyboard riffs and also typical dubby reverb parts. There are also excellent new bass lines all over the tracks. Listening to "King's Row", for example, the dub version of "Sardonicus" it is like you are listening to a new track, to be honest. "B Line", the version of "Lamb's Bread" is packed to the brim with lots of electronic noises, infectious percussion and a copper-bottomed dubby bass line. These tracks are a mixture of convincing dub and inventive new instrumentation. Indeed , several of them are instrumental re-workings of cuts that already were instrumentals. 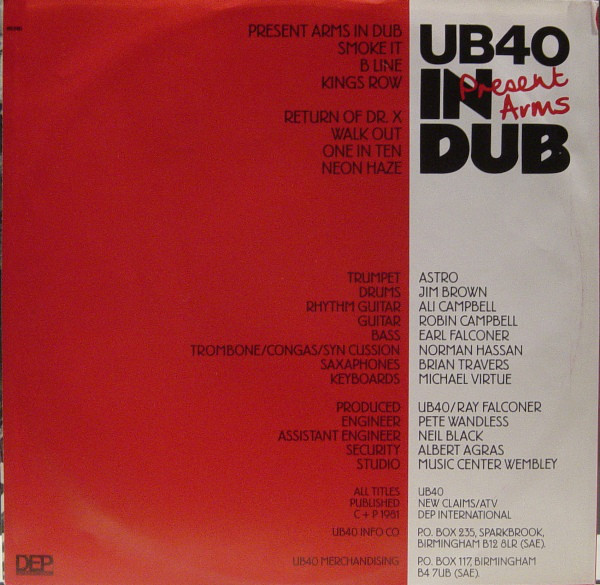 While I am a fan of deep, thumping, authentic Jamaican dub, I feel there is certainly enough "proper" dub floating around to not render this a "plastic" dub album, and the use of a lot of inventive instrumentation makes it a more than interesting style of dub album. Not many dub albums have ever broken into the UK album charts. This one did.